Using a welding machine purchased with funds donated by the Rotary Club of West El Paso Foundation, volunteers today have been installing a metal frame for the badly needed water storage tank also donated by the Foundation. The Juarez Diario reported on the serious water shortage problem last week and Tree of Hopes Mexico is happy to report that help is on the way. Last week we were happy to support the work of the Mustard Seed Cafe in El Paso with a donation of food supplies. The Cafe has been feeding hungry people and caring for every heart that comes through their door since 2011. They have a new location in West El Paso at the Westside Community Church, 201 E. Sunset Rd. Check out there website to learn more including business hours. 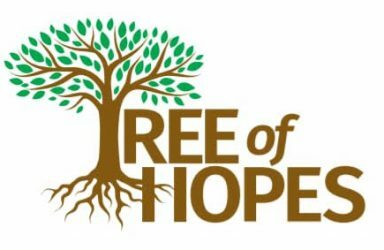 The mission of Tree of Hopes is to support “One Health” humanitarian efforts to help needy families living along the US Mexico border in the Juarez, Chihuahua – El Paso, Texas region. One Health recognizes that the health and over all well-being of people is connected to the health of animals and the environment. The following information from their website describes this wonderful community cafe. The Mustard Seed Café is a NonProfit, Pay-What-You-Can Community Café. We want to tell and demonstrate the love of Jesus to every single person who comes through our doors! We serve delicious, nutritious food with an accompanying commitment to treat each person with dignity and honor. Guests may volunteer an hour with us in exchange for a meal or they may choose to pay what they can on a suggested price for their meal. Some pay the suggested price, others pay less, and some pay more as a donation to pay it forward. Our greeters and volunteers offer a genuine and warm welcome. Talk to our manager, Carmen, if you’d like to volunteer an hour with us in exchange for your meal. Our menu changes weekly and is written on the large chalkboard in the café. When you’re are ready to eat, step up to the buffet line and tell our chef and volunteers what you’d like to order. Our feature items vary weekly, as do our side dishes. We always serve a delicious soup, and our salad bar is one of the best in town. Dessert is usually a yummy cookie or bar, and we serve tea, coffee, and infused water. Your guest check is on your food tray with a suggested price. You’ll pay after you eat. Sit where you like and enjoy your meal. You decide what to pay. Pay the suggested price, pay less if you need to, or pay more to help us keep doing what we’re doing. Write the amount of your payment on your guest check, and pay at the door as you leave. A little over a year ago I realized something about myself that I knew was there, but for a long time was hidden from view. As a wildlife conservationist working all of my adult life in National Parks and now the El Paso Zoo, I have always focused on my job and on related environmental education and advocacy efforts. Then one day last year I discovered that I had a place in my heart that was pretty much wide open. It was a place where I have a passion for helping the less fortunate. Soon I was doing what I always seem to do, trying to make a difference by encouraging others who also care. As a member of Rotary International for over 30 years I have been encouraged to live by the 4 way test – (1) Is it the truth?, (2) Is it fair to all concerned? (3) Will it build goodwill and better friendships? (4) Will it be beneficial to all concerned? I really want my life to reflect Rotary values which in my opinion are in line with my Christian faith and everything about being an American. They are also in line with many other people’s values around the world like the global network I am a part of with 1.2 million business and professional leaders in Rotary. The tree I helped to plant last year I am happy to report is growing. Thanks to the Rotary Club of West El Paso Foundation and most recently the Zaragoza Rotary Club, Tree of Hopes is gaining more and more support everyday. Our Helping Families in Need This Christmas Project is touching hearts as our Tree of Hopes bears fruit and grows into a stronger part of our community. One of the greatest things that I have realized over the past year is what I describe as a “ocean of poverty” in my own back yard. Back in the 1990s when I visited El Paso’s sister city Juarez, I only experienced the business district near the Bridge of Americas. Today I am learning that the poverty of Juarez is much greater than I ever realized. I can’t sit back and just pretend that I don’t live next to this ocean. I can’t drive to work every day on I-10 and not look to the right and see the homes of so many in need. I just can’t. 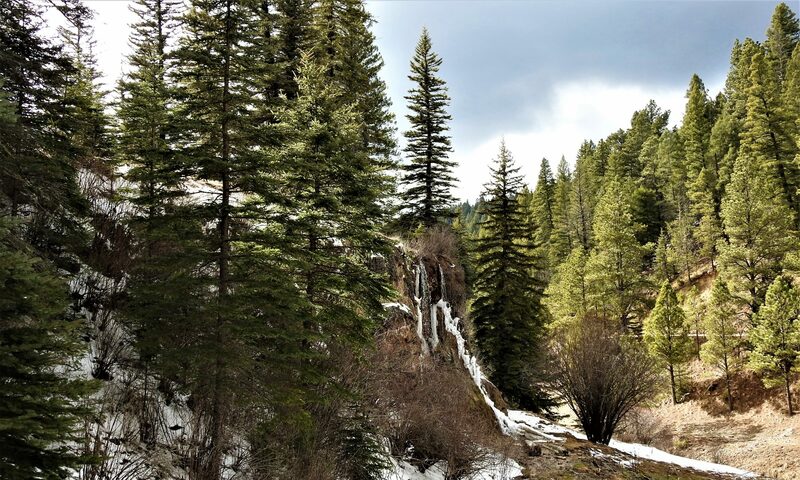 It is my hope that this Tree of Hopes will become a important outreach effort for good in the days ahead and that it will encourage others to plant trees of hopes everywhere. Volunteers helped put in a new water line for the Comedor Aposento Alto this week. Special thanks to Manuel Payan seen here and Velia Hernandez’s son Nestor for all their help. This is a great time of year to work on projects to help improve the Comedor complex. We still need help repairing leaky roofs and donations to help with the cost of heating this winter. As the sun sets on the desert near the slopes of Mount Cristo Rey in Juarez, Velia Hernandez is in her kitchen preparing dinner and getting ready for the week ahead at the Aposento Alto Comedor. The small complex of rustic buildings in the far northwest corner of Juarez features a multi-purpose dining room where she and her husband Victor Villalobos have been feeding and helping thousands of families since 2009. Situated near the base of a small desert mesa in the community of Anapra, the facility includes classrooms that serve as dormitories for free medical clinics including eye exams and cancer screenings, music lessons and a place for volunteers from all across the US to spend the night as they cross the border and help build homes for needy families. Everything that happens in this little corner of the world happens because of caring people mainly in El Paso who help with money and food to keep everything going. Last month the Comedor received a generous donation of food boxes filled with cereal, fruit and other nutritious items to give to the children who visit every week. I was able to help load up everything into the 2001 Dodge Ram Van for the trip back to Juarez. With the help of her husband Victor every day Velia makes sure that everything happens in this little corner of the world. As I have witnessed her dedication to the work of the Comedor, it is obvious to me that she is one of the unsung local heroes making a difference here the El Paso – Juarez region. I am proud to know her and support the work that she is doing.